I’ve read several books that have left an impression on me regarding nutrition. The majority of the authors are doctors, and though there are several common themes, for example: broccoli yes; Dorito’s no, they do differ in their minutia. (Note: I recommend consulting a Registered Dietician to help determine what is the best eating plan for you. ) That said, my goal with this two week program is to give you an eating plan that fits into the parameters of all these experts. Surprisingly that was not easy to do. When I broke with the guidelines of a particular author, I noted so next to the recipe. Below I give an Executive Summary of each of the books, a link to the authors website, and a recommendation as to who should take a deeper dive into each book, i.e. go buy the damn thing. Dr. Masley is a believer in managing your blood sugar to control cognitive decline. Who does best on this eating plan: Those who are (or have a loved one) suffering from a brain injury, memory loss, cognitive decline, dementia or Alzheimer’s. This is also an excellent protocol for anyone who has a familial history of dementia, has tested positive for the ApoE4 gene variations or is otherwise at increased risk for accelerated cognitive decline. 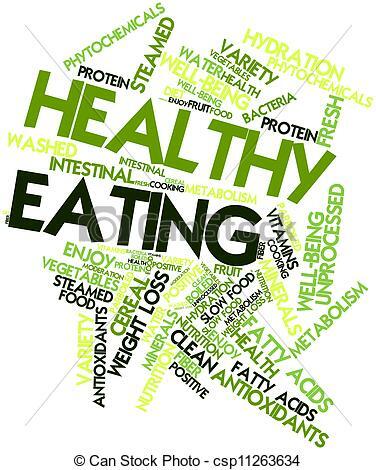 Who does best on this eating plan: Those interested in living an “ancestral” (not paleo) lifestyle, who don’t mind eating a wide variety of foods and have no illnesses, autoimmune disorders or allergies. Who does best on this eating plan: You are healthy but have a few pounds to lose. Who does best on this eating plan: those with acne or skin issues such as eczema, psoriasis or keratosis pilaris. Dr. Gundry believes that plant lectins (gluten being the most familiar lectin) are the cause of most modern illnesses. Who does best on this eating plan: those with undiagnosed medical issues, autoimmune disorders and gut issues. Note: folks suffering from autoimmune disorders need to consult with a registered dietician. Before embarking on this two week eating plan, prepare to tell family and friends that you will not be going out for dinner, drinks or desserts. It’s only two weeks!! You can do this, and I encourage you to get family and friends to join you. I’ve picked recipes as written in the books, but additional ones can be found on the authors websites. I suggest you make several servings so you have plenty for leftovers. I’ve tried to choose recipes that have fish, chicken, red meat and vegetarian options. When shopping chose the best quality products available. To quote Dr. Gundry, “You are what you ate, ate.” If you choose animal proteins such as farmed fish or industrially raised pork, you are eating the same crap those animals ate. I know the rules governing organic produce, grass fed beef and pasture raised eggs, leave a lot to be desired, but do your best to pick high quality foods. Morning Replenishing Cocktail: DRINK THIS EVERY MORNING UPON RISING!!!! Make your coffee. Brew 1 cup (8-12 ounces) of coffee using filtered water with 2 ½ heaping tablespoons of freshly ground Coffee Beans. Steep tea bags in large mug with hot water and cinnamon sticks for at least three minutes (longer is better). Remove and discard tea bags. If desired, sweeten the tea with trehalose. If you want some help in learning how to make your own, please reach out to me. I’m happy to help you get started. Otherwise, look for bottles that have less than 2 grams of sugar per serving. Don’t drink more than a bottle a day. I tend to drink a bottle every other day, e.g. slightly less than 8 oz a day. If you are using raw bones, especially beef bones, it improves flavor to roast them in the oven first. I place them in a roasting pan and roast for 30 minutes at 400, along with the vegetables which I liberally coat with avocado oil. I stir up the mixture 15 minutes into cooking time. Place the bones in a crock pot. Pour (filtered) water over the bones and add the vinegar. Let sit for 20-30 minutes in the cool water. The acid helps make the nutrients in the bones more available. Remove from heat and let cool slightly. Strain using a fine metal strainer to remove all the bits of bone and vegetables. If there’s bone marrow, remove it and crush it or blend it, along with the veges, and add back to the broth. When cool enough, store in a gallon size glass jar in the fridge for up to 5 days, or freeze for later use. Note: You can drink this bone broth anytime of the day with a nice sprinkling of Himalayan Sea Salt. It will be oily and rather bland. It can also serve as soup stock for another recipe. Place all ingredients in a high-powered blender and blend on high until smooth and fluffy. Add more ice cubes if desired. In a blender, combine all the ingredients, including the spirulina (if using), and blend until smooth. Pour into a small glass and enjoy. Sausage, Kale and Onion Egg Muffins (modified from recipes by Naomi Whitttel and Dr. Gundry) Note: Dr. Cates believes those trying to improve their skin, should avoid eggs. Preheat the oven to 350 degrees F. Grease six cups of a muffin tin with 2 teaspoons of the oil. In a medium skillet, heat ½ teaspoon oil over medium-high heat. Add the sausage and cook, breaking up the meat with a wooden spoon as it cooks, until evenly browned. Set aside. In the same pan, cook the onion and garlic over medium heat until translucent, 5 to 8 minutes. Reduce the heat to low and add the kale. Gently cook until the kale wilts. Let cool. Season with salt and pepper. In a large bowl, whisk together the eggs and salt and pepper. Evenly divide the sausage among the greased muffin cups. Evenly divide the onion-garlic-kale mixture over the sausage. Use a 1/3 cup measure to divide the egg mixture among the muffin cups, being careful not to overfill them. Serve immediately, or let cool completely and freeze. In a large dry saucepan, toast the millet over medium heat for about five minutes, stirring or shaking frequently, until golden brown and fragrant. Do not burn. Slowly add the vegetable stock and salt, being careful not to get burned from the rising steam. Stir and bring to boil. Lower the heat to simmer, cover the pan and cook for about 15 minutes, until all the water is absorbed. Remove from the heat and let stand covered for 10 minutes, fluff with a fork. Meanwhile place the onion, carrots, basil, mushrooms, garlic and Italian seasoning in a food processor (I used a chopper) fitted with the S blade and pulse into fine pieces. Plane one tablespoon of the oil in a large skillet over medium heat, add the vegetable mixture and sauté for 3 to 4 minutes, until tender. Transfer to a bowl. Wipe the skillet clean with a paper towel. Add the millet, beaten egg, and coconut flour to the mixing bowl. Stir to combine and thicken. With greased hands, form the mixture into 2-inch balls, and then press down with the palm of your hand to form into 12 patties. Add the remaining 1 tablespoon oil to the skillet. Add the patties and sauté over medium heat for five minutes per side. Drain on a paper-towel-covered plate before serving. To serve, scoop an equal amount of the guacamole into each lettuce leaf. Separate the endive or nori leaves and place on a serving plate. To each endive leaf, add a slice of the smoked salmon and a slice of the avocado, top with parsley and drizzle of lemon juice. Make the Chicken: Heat the avocado oil in a small skillet over high heat. Place the chicken strips in the hot pan and sprinkle with the lemon juice and salt. Sauté the chicken strips for about two minutes; turn them and sauté for another two minutes, until cooked through. Remove from the pan and reserve. Make the Dressing: Combine the ingredients in a mason jar with a tight-fitting lid. Shake until well combined. To Serve: Toss the arugula in the dressing and top with the chicken, adding the lemon zest, if desired. One of the nice things about lamb, is that it is relatively easy to find reasonably priced, organic, grass-fed lamb. Preheat the oven to 350 degrees. Rub the lamb first with the ghee, then the herbs, salt and pepper. Set aside. When the internal temperature is 5 degrees less than your desired temperature, turn the heat to broil, cooking for another 2 to 3 minutes to render the fat crispy. Remove from the oven, transfer to a serving platter, put in a warm place and allow to rest for 5 to 10 minutes before serving. Preheat grill to 450° (F). Rinse salmon fillets in cold water. Marinate in a bowl with lemon juice for 5-10 minutes. Lay fillet skin side down on a plate, and sprinkle sea salt, black pepper, dill weed, and paprika over the fillet. Grill salmon fillet initially skin side down for 6 minutes. To turn, separate the skin from the meat with a metal spatula. Flip the fillet, keeping the skin on the grill and placing the flesh over the skin. Grill another 2-4 minutes until cooked. The USDA recommends an internal temperature of 145° (F), which is medium done. Most chefs prefer 125-130° (F), with the center a bit translucent and it will flake easily, as it is more moist and tender. Whichever temperature you choose, don’t overcook past 145° (F) or the fish becomes dry. To serve, garnish with fresh herbs and lemon wedges. And there’s your steak! Now, the best thing about this particular recipe is its versatility. Since you’re making a larger piece to start, you’re sure to have plenty of leftovers… and since this recipe tastes good hot OR cold, it’s as nice on a salad as it is hot. The authors do include dessert recipes, but for two weeks, stick with small quantities of berries or chocolate. You can always go on-line and find some dessert recipes if you ABSOLUTELY HAVE TO! If you’re goal is to clean up your skin, avoid alcohol for the whole two weeks. Otherwise, no more than one glass of high quality red wine (if wine costs $3.99 a bottle, odds are it has fillers) or vodka/per day. Beans: Not all the authors were anti-legume, but they can be an irritant to some people. Make sure to use dry beans, soak them well and cook them in a pressure cooker. Dairy: Add-in whole fat, organic fermented sources first, e.g. goat kefir. Dr. Shanahan is a huge proponent of clean, raw dairy, though this can be hard to find. Grains: Start with fermented grains, such as sourdough made from ancient Einkorn wheat (and yes, I make my own sourdough bread from Einkorn). Rinse and/or soak items such as Quinoa to remove irritants before preparing. Nightshades: Peel and seed peppers and tomatoes before using. Slowly add in things like cucumbers, squash, etc. i.e., anything with the seeds. Note: I personally don’t think lectins are a problem for most people. Any reaction we get from consuming them is more of a hermetic stressor that make us stronger. That said, I also don’t suffer from gut issues or brain fog. Good luck my friends! Please share your experiences in the comments.